There are several parking lots in the area. The most convenient lot is the Ralph's parking structure located south and east of the theatre on Oxford street. Enter only thru the Northern entrance - not the Ralphs entrance. We do offer VIP parking for certain shows. Please call 213.531.0587 to find out about VIP privileges. How I can reserve Wiltern Underground parking? To reserve Wiltern Underground parking, call 213-531-0587. Where can I purchase tickets to your events? The most convenient way to purchase tickets is through www.Wiltern.com, www.LiveNation.com or charge by phone, please call Ticketmaster at 1-800-745-3000. You can also stop by at out Box Office any show night. The box office accepts Cash, Visa, MasterCard, American Express, and Discover. There is a $5 per ticket fee applied to each ticket purchased at the box office. Box Office is open every show night, 2 hours before doors open. You can check our Calendar of Events to find out when our next event is. The Box Office will accept a credit card if you are purchasing tickets to a future event. You can also purchase tickets to our events at the Hollywood Palladium Box Office every non holiday Saturday from 10:00AM to 2:00PM free of service charge. 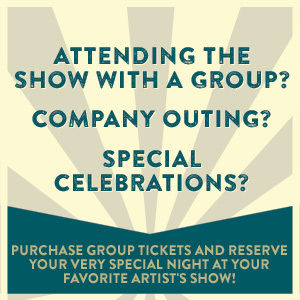 Call us at 213.531.0588 to find out if the show you are coming to see has VIP access available. I have tickets at will call. When can I pick them up? Ticketmaster Will Call opens one hour before doors. Artist guest list may not arrive until doors time. Remember to bring your photo ID and the credit card used to purchase your tickets! I have tickets at will call and I can't make it to the show any more. Can I transfer tickets to my friend? Tickets are not transferable. The original ticket purchaser must to go back to original point of purchase to make the change. If you are a radio contest winner, guest of someone in the band, or a VIP Client, again, please touch base with your original point of contact and they will get in touch with us to make any changes on your behalf. I am on a guest list. How can I verify that my tickets will be at will call night of the show? Artist guest lists are usually at will call at doors time. Unfortunately we don't have a way to verify if your tickets are at will call. We recommend you double check with your contact the day before the show to eliminate any confusion the night of the show. Can I buy tickets to a show at The Wiltern at a different location? You can purchase tickets to The Wiltern shows at the Hollywood Palladium on non festive Saturdays between 10:00AM and 2:00PM free of service charge. What is the fast lane pass? Fast lane passes are sold for $15.00 at the box office night of the show or can be purchased online along with your ticket on wiltern.com or ticketmaster.com for $10. A fast lane pass allows you to skip the general admission line. This service is not offered on every show. Please check online or call 213.388.1400 to find out when you can purchase fast lane passes. How can I find out set times for the show I am coming to see? Call 213.388.1400 and follow instructions to find out the schedule of the night. Set times are subject to change. If a show cancels, please contact point of purchase for a refund. Do you have seats at The Wiltern? Loge and mezzanine are entirely seated. The main floor is standing room or seated depending on the type of show. Where is The Wiltern located? We are located at 3790 Wilshire Blvd, Los Angeles, 90010 at the corner of Wilshire Boulevard and Western Avenue in Koreatown. Can I take public transportation to The Wiltern? The Metro Purple Line stops right across the street from The Wiltern and connects with Downtown LA, Union Station, and Metro Red Line (to Hollywood). Metro Purple line operates until midnight on weekdays (Sunday to Thursday) and 2:00AM on weekends. Please check metro.net for the most up to date information. Is there an age limit to come come to your shows? Our age limit is 5 for most shows. Insomniac shows only allow 18 patrons to come into the venue. You must have a valid photo ID. Bring yourself, your ticket, your friend, and your photo I.D.! Among the items not permitted to shows are: bottles, cans, weapons, lasers, back packs, posters, stickers, cameras with detachable lenses, audio/video recording devices, tripods/monopods, alcohol, drugs and illegal substances, large bags or backpacks inside the venue. The Wiltern no longer offers a coat check service. Lockers are available upon request and are offered on a first come, first serve basis. Can I drink/eat at The Wiltern? We serve alcoholic and nonalcoholic beverages, as well as concession items such as pop-corn, chips, pizza, burritos, and nachos. In-and-outs are not permitted at our venue. Make sure you don't leave the venue unless you don't plan on coming back! Is smoking allowed at The Wiltern? Smoking is permitted only on the smoking patio located on the south west side of the building. Restrooms are located in our upper and lower lobby. ADA restrooms are located on the main floor. We do have a lost and found at the front office. Please call us at 213.388.1400 and leave a message. We will call you back to let you know if we've found your lost item. I want to follow The Wiltern on social media. We always appreciate new followers! You can follow us on Instagram, Facebook or on Twitter. How do I host a private event at The Wiltern? The magnificent interior of The Wiltern evokes a period of elegance and style simply not found anywhere in today's modern venues. The entrance is set back among colorful terrazzo paving, and its art deco design contains decorative tile work along with colorful murals. The most dramatic element of the overall design is the sunburst on the ceiling of the auditorium, with each ray representing its own art deco skyscraper. The venue offers the perfect vibe and shape for a variety of events. Call us at 213.531.0552 and leave a message with your rental inquiry and we will call you right back. You can also visit our webpage for pictures, capacity information, and floor plan. Can I visit your historic building on a non show day? For daytime tours call us at 213.531.0557 and leave a message. We will call you right back! How do I become a part of The Wiltern Family? We love music lovers and we are always looking for passionate workers! Call us at 213.388.1400 and leave a message, so we can send you a job application. Call us at 213.388.1400, leave a message, and we will return your call as soon as we can!